The holidays can be incredibly tough on teeth. Thanksgiving not only means seeing your family; it usually means gathering around a sumptuous feast full of irresistible holiday food that can not only affect your waistline but also your oral health. However, As some of us know all too well, the holidays can be incredibly tough on teeth! Luckily there are things you can do to improve your oral hygiene practices during the Holidays. Though seemingly a simple everyday task (or inconvenience, depending on how you view oral hygiene practices), brushing and flossing your teeth often ensures that your teeth stay clean and healthy. While this won’t completely stop tooth decay from overindulging, brushing and flossing reduces the effects of everyday wear and tear on teeth. Flossing at least three times per day on holidays is important to get rid of food particles, which can cause decay and other dental problems. Try to brush your teeth half an hour after eating, drink a lot of water, or chew some xylitol gum to get rid of food particles stuck to your teeth. If you’re going to be traveling and staying away from home overnight, remember to pack a toothbrush and floss. Pro Tip: If you don’t have floss where you celebrate ask your host where they keep the tooth picks. Although toothpicks can damage your gums if you are not careful, they can also be very helpful if removing sticky foods and loosen plaque. If you are worried about your teeth after the Thanksgiving feast it’s safest to try and avoid overeating sweets and soft breads. The protein in turkey has phosphorous, which, when mixed with calcium and vitamin D, strengthens teeth and bones. The sweet potatoes contain vitamins A, C, and B6, all which are good for your teeth. However, make sure to cut- out the marshmallows and syrup. If you don’t plan to cook alternatively most restaurants provide healthier Thanksgiving dishes than some of moms old favorites. Also, vegetables served as sides such as carrots, snap peas, and brussels sprouts are teeming in vitamins that can give you healthier gums. It’s still important to brush your teeth after eating even if you stick only to these types of foods as they do contain some plant sugars. Also, particles from any kind of food can adversely affect your teeth. Stay away from the sugary sides as much as possible. Sugar can do quite a number on your teeth. Cranberry sauce specifically is singularly damaging to teeth. However, if you can have fresh cranberry sauce with significantly less sugar, the flavonoids in cranberries can prevent plaque build-up and get rid of bacteria. Make sure to eat cranberry sauce with firm or crunchy foods that can pull the sticky sauce away from your teeth as you chew. Any other sugary side dishes should be avoided. Sides and desserts like pecan pie and even mashed potatoes can your teeth’s worst nightmare. The sugar can stick to your teeth and foster bacteria that can eat through your teeth’s enamel. If you cannot resist these sugary foods, make sure to wash out your mouth with water frequently. Visit your SEC Dentistry location before the holidays. Remember that you may have existing dental problems that you are not yet aware of. These problems can be exacerbated by a Thanksgiving feast. It’s prudent to pay your dentist a visit before Thanksgiving to see how your teeth and gums are so you don’t get caught in a bind. This way, your dentist can let you know about the state and health of your teeth. The dentist can also give you advice on what you may or should not eat at Thanksgiving dinner. 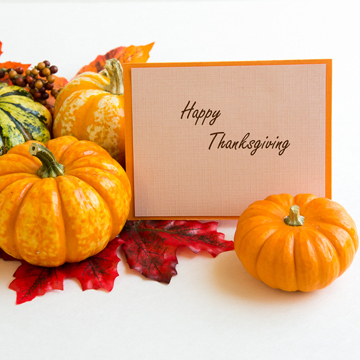 Having unhealthy or damaged teeth can take greatly away from your Thanksgiving experience. Oral health problems can get worse if you are not careful, and you eat whatever you want. Knowing the state of your teeth and whatever problems there might be can enable you to be more careful. Visit your dentist after the holidays. 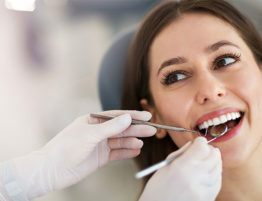 Even if you take all the advice stated above and religiously follow them, it’s still a good idea to visit your dentist again after the holidays. If you had dental issues before chances are the holidays have made matters worse. More importantly, your appointment can include a cleaning session. Even if you brush and floss regularly, some bacteria and plaque may be more stubborn than you can handle. A post-holiday checkup with your dentist and a cleaning is a great way to start the new year.